Local govts leading on climate action through Cities Power Partnership. 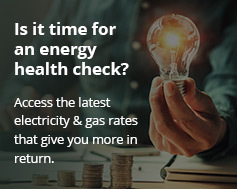 While the Morrison Government remains uninterested in energy policy, local government areas throughout the country are forging ahead with emissions reduction and renewable energy initiatives through the Cities Power Partnership (CPP). The Climate Council created the CPP program, which is now the biggest climate, emissions and energy program for local governments in Australia. So far, the CPP program has gained more than 100 council members, representing approximately 45 per cent of Australia’s population. The CCP helps local councils transition to clean, sustainable energy. Member councils pledge to take five key actions across four areas. These areas are – renewable energy, energy efficiency, sustainable transport, and collaboration. Action – councils report back on their pledges every six months. Knowledge – such as information-sharing and the provision of resources. Profiling – by which member successes are shared across the community and in the media. Connection – through collaboration between members and partnering of councils with one other. So far, over 70 councils have submitted more than 300 pledges. 130 pledges focus on renewable energy projects. 70 pledges focus on collaboration. 60 pledges involve improving energy efficiency. 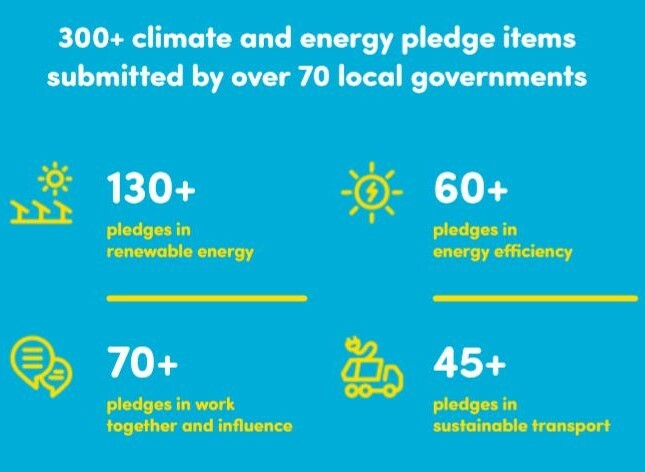 45 pledges target sustainable transport. Renewable energy was clearly the most popular of the pledges. Member commitments include increasing solar installations on council buildings and setting local area renewable energy targets. Many members are also developing initiatives to encourage residents and local businesses to take up rooftop solar. Darebin council in Melbourne’s inner north has set a target of zero net emissions by 2020. It is committed to installing 440 kW of additional rooftop solar panels on council buildings and also 11,000 kW on homes, businesses and other organisations over the next five years. Darebin was also a pioneer in developing solar programs for residents, through its Solar Saver scheme. Lismore council in northern NSW created the first council-owned community-funded solar farms. This includes a 100 kW floating solar farm which consists of 280 solar panels on the floating ponds of the east Lismore Sewage Treatment Plant.